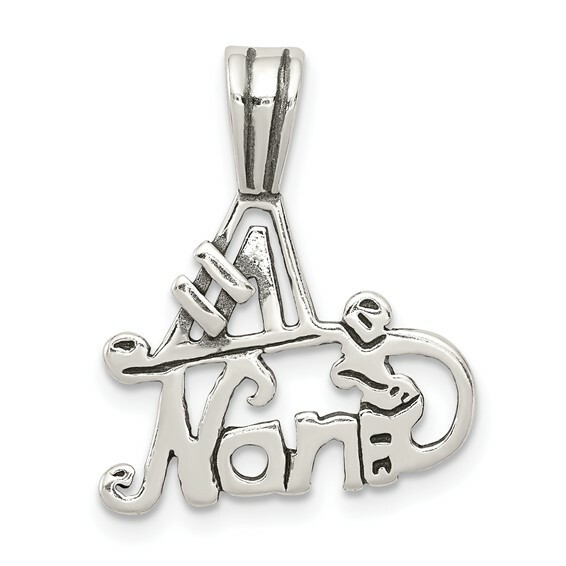 Sterling Silver Diamond Cut #1 Nana Pendant. Weight: 0.85 grams. Item measures 9/16 inch by 11/16 inch without bail.